Cob Workshops Upcoming Events : : Fast Cob! Beginning on a Saturday evening for dinner, and ending on the following Saturday morning for breakfast, we’re hosting two 6 day Natural Building Workshops in 2014. Family Special for August 9-16: Two can come for the price of One! Offer ends on August 1st and is limited to the first 2 families to apply…And now for both workshops, you can take 20% off our regular price if you travel carbon-free to the workshop on Lasqueti Island. That could be by bicycle, or regularly scheduled bus or train. If you’re travelling less than 100 km (Vancouver Island or Vancouver) and are willing to car-pool, you can take 10% off our regular workshop price. Fast Cob: learn how to mix 10x faster and build up to 30x faster! 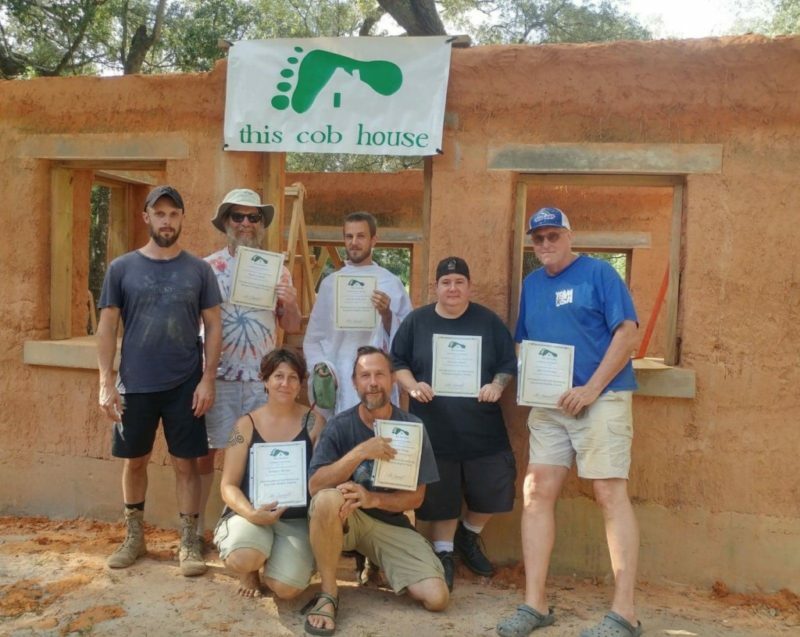 We’ll also show you how to cob in windows and doors, electrical and plumbing, floor joists, and roofing beams. 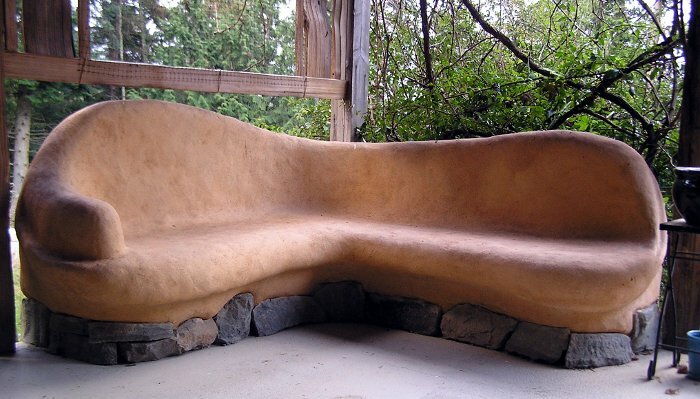 Finishing Natural Buildings: we use a smooth 100% natural plaster that is easy and satisfying to work with. We use human power to ensure we can build anywhere in peace, safety and comfort. 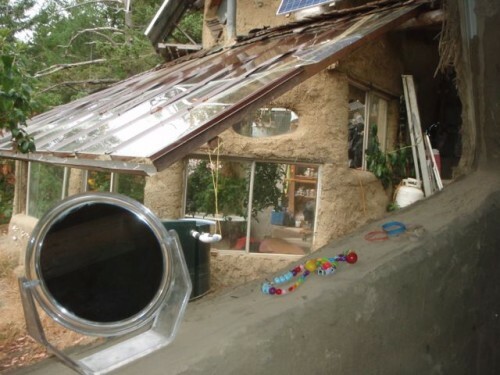 Our Fast Cob technique makes this easy and sustainable! Finishing a two story house: a 30′ x 50′ structure with a partial 2nd floor. The main house now has an Ondol (Korean-style) under floor heating system and stone and 18″ cob wall foundation; we’ll be building the cob floor, integrating plumbing and electrical, building a “cob fridge” and installing lots of glass and built-in features as well as a metal framed solid wood door and dual glass doors. Building the arched interior wall will be the highlight of our first workshops; it will support both the 2nd floor joists as well as the greenhouse-like roofing beams, while letting humans, light, and air circulate throughout the ground floor. 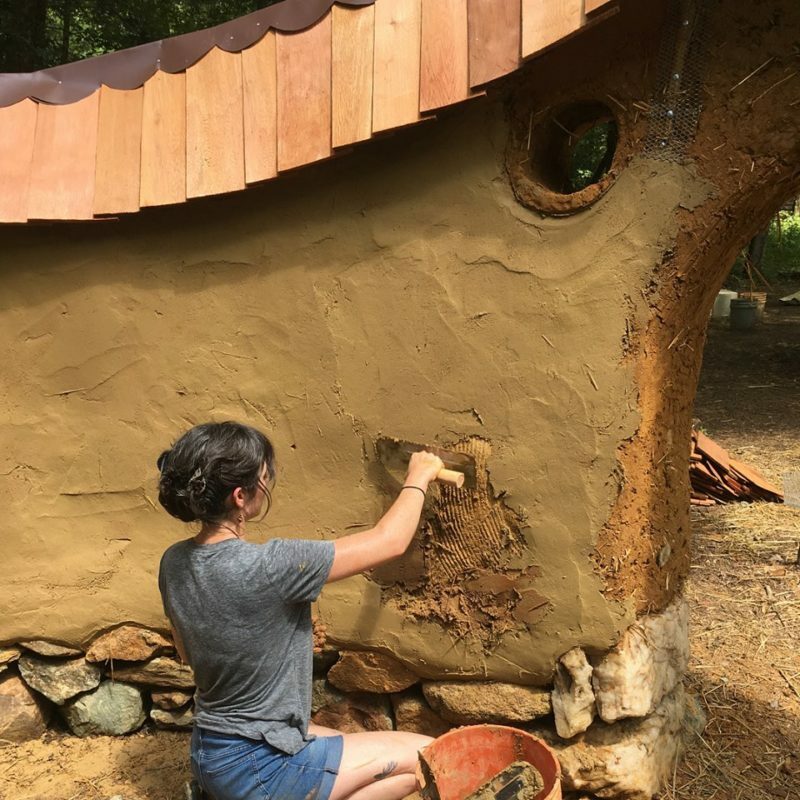 Plaster a cob bench and greenhouse walls: you’ll find the ratio of materials that work best for applying and lasting, which can be used on any type of construction. Travel days to get to and from the workshops are Saturdays: we’ll begin with a welcoming, wholesome dinner the first evening and end with a farewell breakfast will fuel your return to the ferry dock the following Saturday morning. Every workshop day (Sunday to Friday), we start with a short meditative building session, followed by a hot, hearty breakfast. Two longer hands-on learning sessions sandwich a hot vegetarian lunch. Two snack breaks make sure we have the strength and stamina to absorb all the learning we can. The pace is casual but determined; the more effort you give, the more learning you will take away. Natural Building is at least 95% experiential learning and you will be expected to self-motivate throughout the various scheduled sessions. The cost of these 6 day workshops is $750 which covers all meals (3 hot vegan/vegetarian meals for 6 days, plus a welcoming dinner and a good-bye breakfast), on-site camping with running water, and hands-on instruction. We use locally-grown, organic ingredients wherever possible. Any two people who register together receive a $100 discount (i.e., $1,400 for two spots). Previous participants receive $250 off each future workshop. And take advantage of our Carbon-Free Discount: 20% off our regular workshop price if you travel by bicycle, bus, train, or any combination of the above. Take 10% off if you’re travelling less than a 100km and are willing to carpool.